Babylonian amora of the sixth and seventh generations. He was president of the academy of Sura in its declining days, but filled the office for only six months. His death was then caused by an earthquake on the Day of Atonement in the year 822 of the Seleucidan era=511. 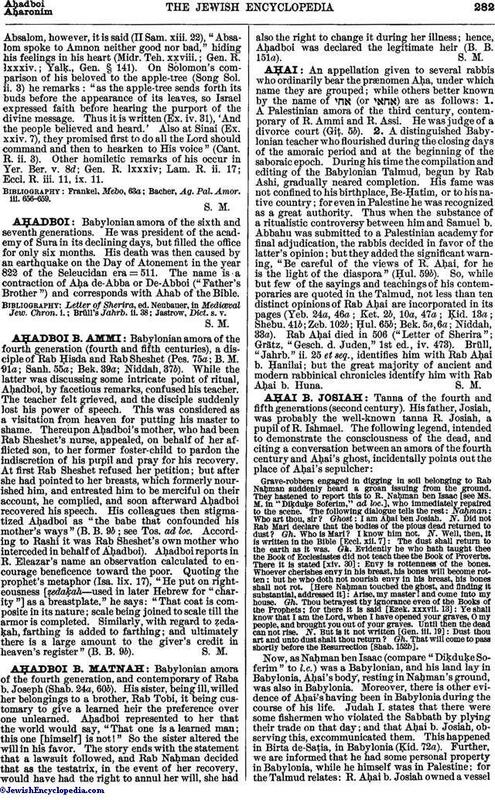 The name is a contraction of Aḥa de-Abba or De-Abboi ("Father's Brother") and corresponds with Ahab of the Bible.